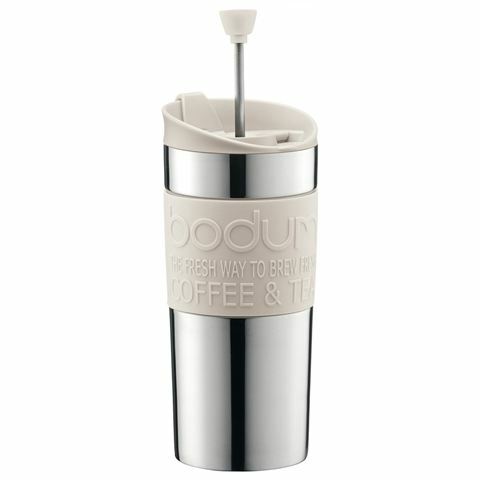 There must be a few coffee addicts over at Bodum, because with their fabulous Travel Press, you may never find yourself without a perfect coffee again. 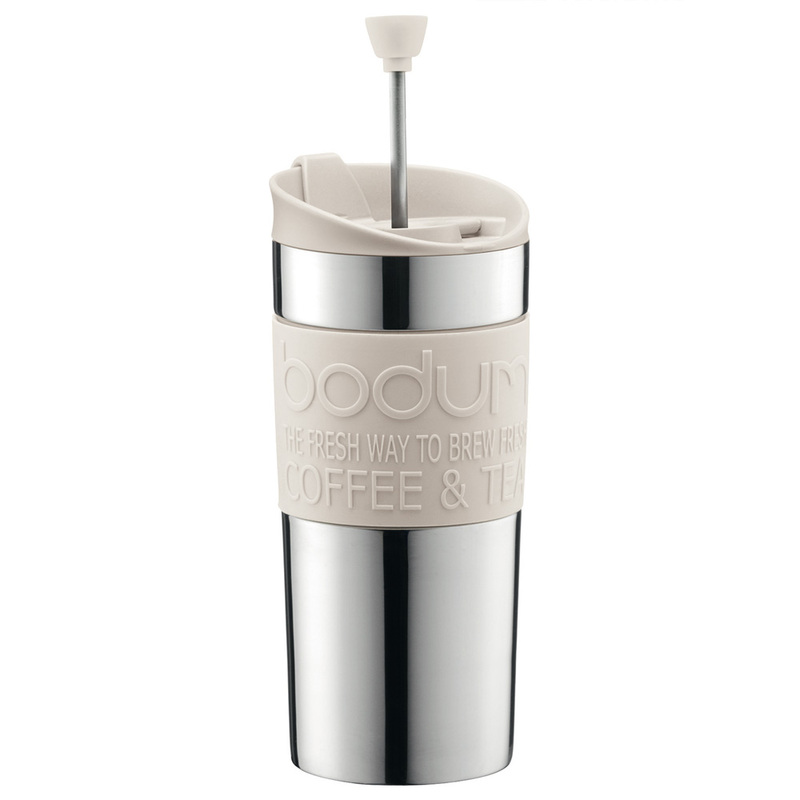 In true Bodum fashion, it’s suave and stylish (and a little bit bright! ), and it’s also unassailably clever. The vacuum seal and double walled structure keep your coffee hot while the silicone grip provides a cool touch between you and your brew. Just add your coarse ground coffee, stir in some hot water and then press in the filter. Voila! It’s that easy. Made from stainless steel, silicone, rubber and durable plastic. Double-walled structure and vacuum seal keeps drinks hotter for longer. Snap lid over drinking spout prevents spillage. Easy to use – fill with coarse coffee and boiling water. The plunger press allows you to brew perfect coffee whilst compressing any residual coffee grinds. Great for enjoying coffee or tea on the go.